Once again trying her hand at going behind the camera, Daryl Hannah makes a stoner film that stars Neil Young. While at SXSW 2018, The Movie Sleuth was able to snag seats for the red carpet world premiere of Daryl Hannah's first full length feature, which was conceived as her first 'narrative' directorial effort. I use the word narrative loosely here. 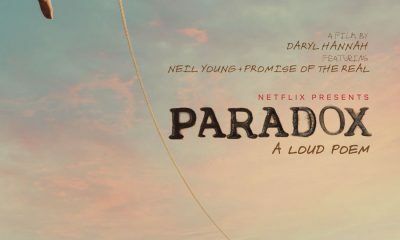 Paradox is a set of pointless scenes strewn together with no defined connection or any type of story line whatsoever. A group of outlaws live in the middle of nowhere, making satirical jokes, using a run down outhouse, and finding ways to entertain themselves as musical interludes break up the horrid monotony. Yes, there is some soul here in the live music sequences, but none of it adds up to anything worth your time. After the concert pieces begin to ramp up to a stunning jam session crescendo, the film falls flat on its face, begging its viewers to find excuses to continue watching. Shot on all digital in a wholly amateurish style that was unfortunately deemed as 'more pot than plot' by the director herself, this artistic piece is a nearly unwatchable contrivance of cinematic drivel that expects its viewer to sit through nearly ninety minutes of nonsense that is only highlighted by the appearance of legendary rocker Neil Young and his good buddy Willie Nelson. Both musicians have done things with their musical careers that shouldn't qualify them for a movie that's altogether terrible in every sense of the word. How on earth Netflix picked this to be one of their next streaming releases is absolutely beyond me and will definitely call into question their decision making process. There is literally no audience for this movie, other than Neil Young completists/purists. I've seen the Hannah and the damage done. Throughout the entirety of Paradox, Hannah shows little self control while trying to partake in the directorial process. As stated during the premiere, there was no real script. They filmed with no idea what they were doing or where they were going with the movie. Harshly, the movie doesn't even work at creating the marijuana clouded haze that it aims for. Yes, she does capture a few stunning artistic shots of people floating in the sky, some beautifully recorded audio, and some great visuals during the musical performances, but Paradox as a whole is a real mess that had people getting up and walking out. 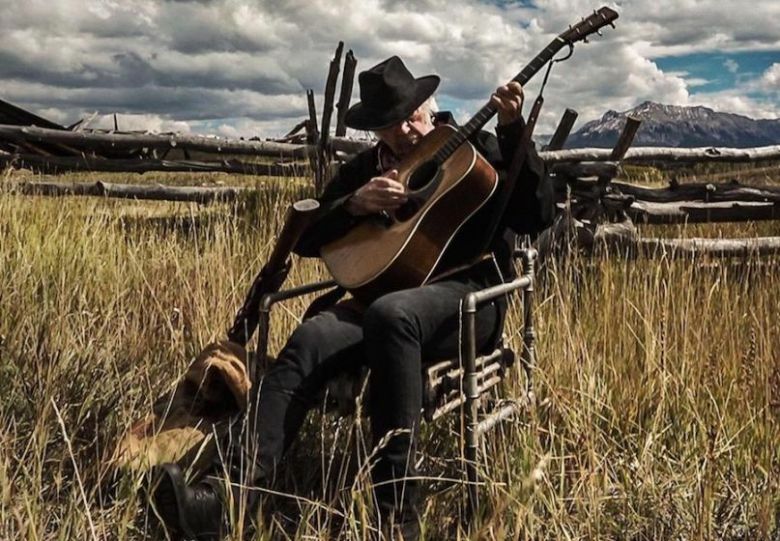 Fans of Neil Young will definitely gravitate towards the great acoustic sessions that are sprinkled throughout and the musicianship is definitely top shelf creatively. However, it would have been far better just to make a either a straight scripted Western or a concert film blending the talents of Young and Nelson. I would pay nearly anything to see the two guitar slinging vocalists going head to head in a cowboy flick. Perhaps, this should have just remained a pet project for Hannah instead of trying to visualize this as an actual film release. This won't be the only review that takes her to task over Paradox. Maybe the point was lost on my critical eye. There might be something here that I'm totally missing. However, that's probably not the case. Considering this is from an actress that's seen ups and downs in her decades long career, it would be shocking to think that she doesn't realize how bad Paradox actually is.